How do Dene language speakers of the Sahtú Region understand and participate in processes related to the NWT Species At Risk (NWT) Act? 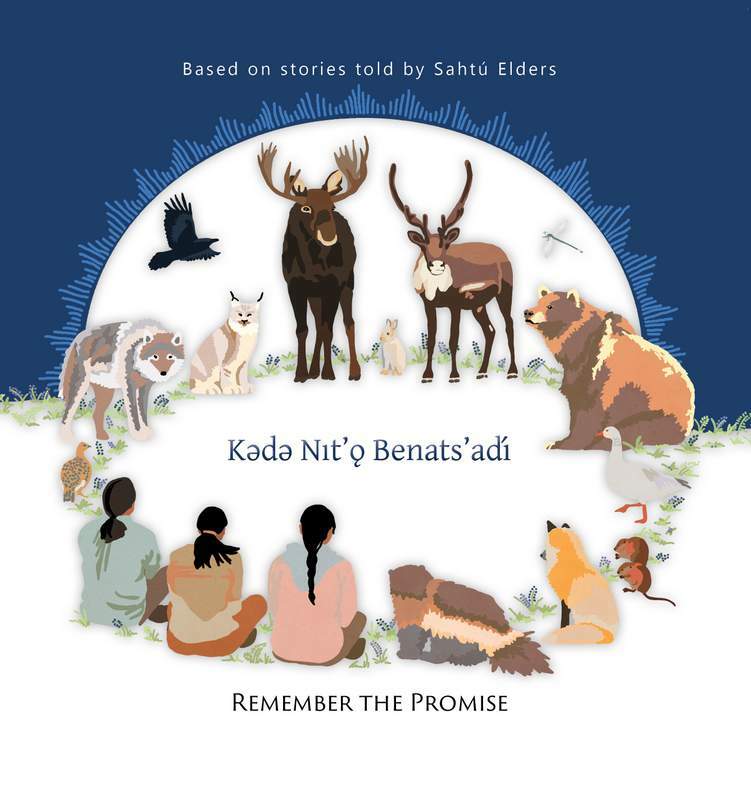 Five years after establishment of the Act, the Ɂehdzo Got’ı̨nę Gotsę́ Nákedı (Sahtú Renewable Resources Board) has published a new book, Remember the Promise, based on stories told by Sahtú elders and with a foreword by Michael Neyelle. The catalyst for the book was a 2013 workshop in Délı̨nę with elders and Dene language specialists from Fort Good Hope, Tulı́t'a and Délı̨nę. Facilitator and linguist Betty Harnum along with staff from the Government of the Northwest Territories (GNWT) Department of Environment and Natural Resources (ENR), Species at Risk office, explained the Species at Risk (NWT) Act as a starting point for recording stories and terms reflecting Dene perspectives and knowledge. The Remember the Promise story starts with ancient times when wildlife were giants and made their own laws, and describes how Dene and other living things agreed to live together and take care of each other. The book includes a glossary and terminology list, as well as information about the Species At Risk (NWT) Act, which is different from Canada’s Species at Risk Act.